A really good way to have some good times with all your friends is to go to the closest bowling lanes. Having fun bowling makes a lot of good memories. I suggest putting up the bumpers so you don’t get gutter balls. Also the bumpers come in handy so you and your friends can act dumb and do some crazy throws, to make a laugh. Hopefully your local bowling place has neon lights that light up the lanes after dark. I don’t know why, but going when they have the lights on always makes the night better. 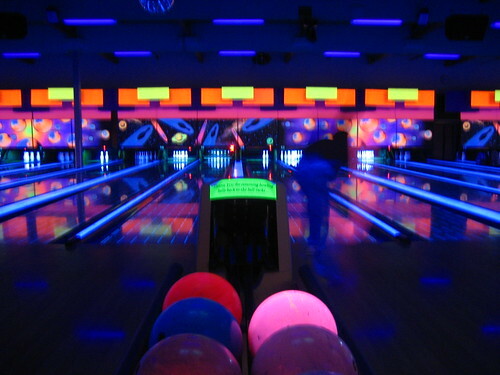 Some places have fluorescent bowling balls that will light up when the neon lights shine onto the ball. Snowboarding is the best sport ever. If you have never been snowboarding, then put it on your to do list. At first it can be really hard, and will work you very hard. If a bruised tailbone isn’t something you would sacrifice then take up a different sport. A bruised tailbone and a face full of snow is about the most common thing in snowboarding. Here is a link that will save you a lot of pain, watch, listen, and learn. Some people like to make little balloons that can be thrown really far but its better to sneak up behind someone and lay the nuke of water balloons on people. These balloons can get really big, like really big. If you do it right it will be very beautiful. The best way to make these is to buy the biggest ones you can find, but to make them go above and beyond their limit you must stretch the balloon before you put water into it, and when you fill them up u must do it in a giant bucket of water. Gravity is usually what causes the balloons to pop while being filled, so the water lessens the effect of the water being pulled by gravity. Check this out, give it a try and give me some feedback http://www.youtube.com/watch?v=Lom70GtwtEU. Handball using a racquetball is much better than using a traditional playground ball. I used to play this during recess when I went to elementary school. All you need is a racquetball, a big wall, and a bunch of friends. Here is where you can get the balls for the game http://www.holabirdsports.com/racquetball/balls.html. 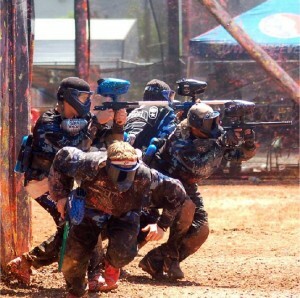 Paintball is one of the best sports to play. It may hurt, but the adrenaline pumping through your body dulls the sharp pains. The best way to do this and cheapest is to gather as many friends and equipment as you can, find an open area in a forest or an enclosed area, set up a course giving enough cover for each team. These are my favorite markers out there (paintball guns) http://www.paintballguns.net/Kingman/Paintball_Guns/. There are a lot of places that have courses already set up, but they are usually expensive http://www.skirmish.com/.